7 available. Delivery 3-6 working days. Learn more. Purchase this product now and earn 115 Bench Marks! 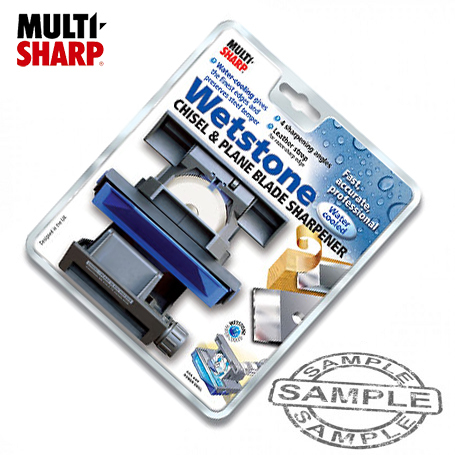 Wetstone resharpens even badly damaged chisels/plane blades quickly, because it uses the high power/torque of an electric drill. 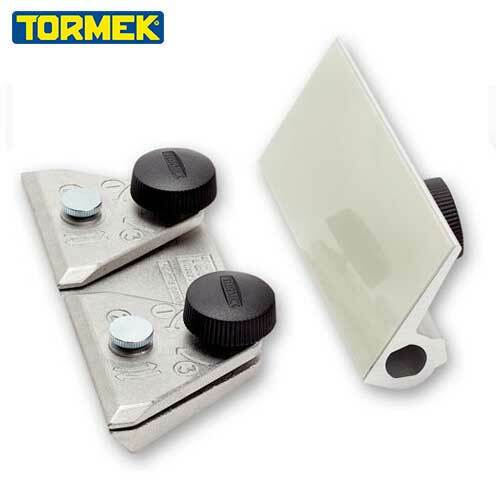 The chisel clamp accurately holds the blade at the selected angle (25º to 40º) for a precision ground edge. The traditional leather strop removes any burr, for a razor sharp edge. 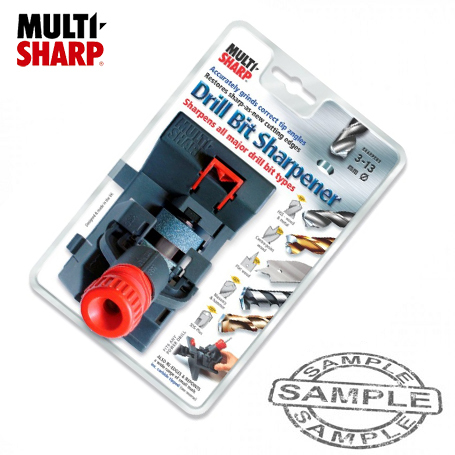 Re-sharpens, re-points and re-edges a whole range of small tools including: gouges, cold chisels, bradawls, screwdrivers, centre-punches, scribers, wood carving / turning tools, etc. Marked angles on the Tool Rest indicate tip angles. 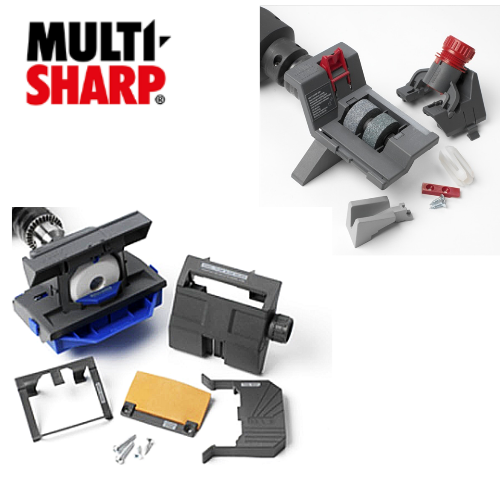 Also included with the system are guides to sharpen both knives and scissors at the correct angle. 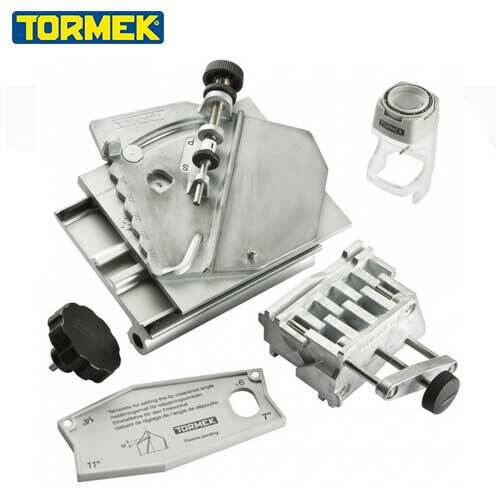 PLEASE NOTE: This product is sent out in a strong plain box, which doubles as useful storage for the products parts. The grinding jig has all the angles for correct tip geometry built in. 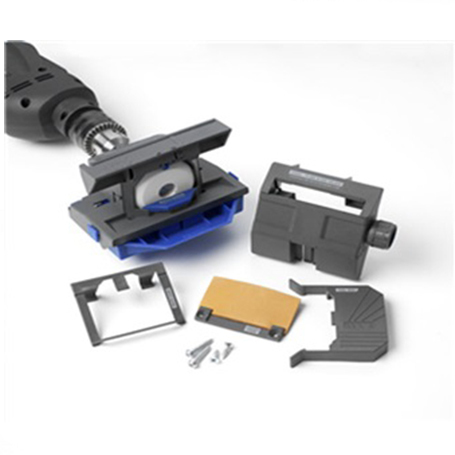 It positions each type of bit over the wheels to give the correct tip and relief angles. Unique cam action ensures correct tip rake and chisel edge. Extends drill bit life for years, and saves money. 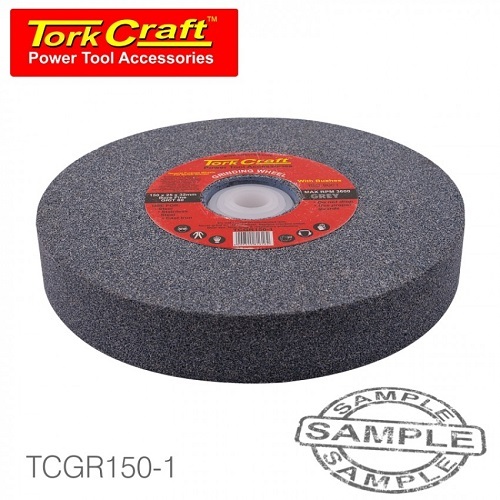 The high quality aluminium oxide and silicon carbide wheels sharpen at least 150 HSS/wood bits and 75 masonry/SDS-Plus bits based on 6.5mm (¼”) dia. size – replacement wheels available. Re-edges and re-points a whole range of small tools, including carbide-tipped. 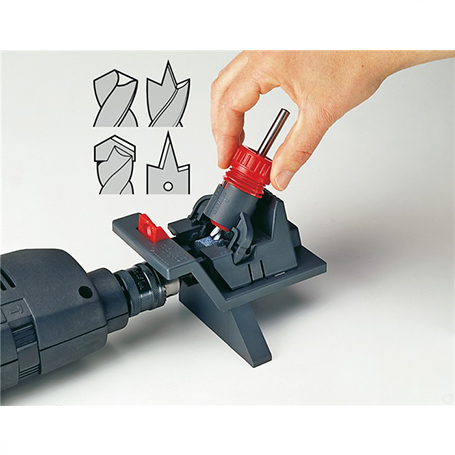 Makes them easier to use, and extends tool life. Also useful as a mini bench grinder. Please Note: This product is sent out in a strong plain box, which doubles as useful storage for the product parts.